I may read with my oldest daughter or do some prep for the next day’s homeschool lessons while supper is on the stove. Help my youngest transition from nap. Supper time! Pictured here is one of my favourite “go-to” meals, “breakfast for dinner”! Kids have free play time. I may tackle a small cleaning project. Start the evening bedtime routine. Eat a bedtime snack; apples and peanut butter, a banana, or a handful of carrots. Brush teeth, go to the toilet, wash hands. Change into PJs (if they’re not already in them). We do not bathe every day. We usually bathe 2-3 times per week and that takes place at about 6:30 on the evenings that are bath nights. Read the Bible, goodnight hugs and kisses. Lights out for my youngest. My oldest daughter goes to her room and reads from 8:00 – 9:00/9:15. My husband and I have independent “work time” from 8:00-9:15. I may do blogging stuff, sewing, or homeschool prep. He may do writing or animation work. At 9:15 we convene in the living room (usually with popcorn) and watch a TV show off of Netflix or something we’ve recorded on the PVR. I do a quick 5-10 minute tidy of the kitchen and living room. Get ready for bed, I read my Bible, and lights out usually by 10:45. That’s my day! Of course this schedule changes if we have a field trip, grocery shopping, or a special outing planned. However, I try to keep it consistent throughout the week. Do you have a daily schedule that your family follows? Aww, thanks Janine. I really enjoy it. I was an early childhood educator for 20 years and loved my job but this is so much more fulfilling. You’re a rock star, Jennifer. That’s all I have to say. Wishing you well my friend. Thanks for stopping by! This looks so familiar, but yet, you get sooo much more done in a day than I do. I swear, I am running around like a crazy person most days ;) This is an awesome post. Shows that we are homeschoolers aren’t a bunch of lunatics lol. Pinned! I’m glad you enjoyed this Katie! My schedule is in tense and sometimes I don’t get everything done but the more intentional I am with my day, the more likely things turn out okay. I would love to have a peek into your homeschool day (hint, hint). I used to be this organized, but as my kids have reached High School and I started blogging, things have become more random. I’d like to create a schedule and get back on track, but I seem to keep allowing life to get in the way. Thanks for sharing and for inspiring me. Your girls are just adorable! Not every day is a success Heather but the closer I stick to this schedule, the better the day is. I find I need to be intentional with my time, otherwise I waste it away on useless stuff. Thanks for your kind and edifying words… as usual.They always bless me. Yes, I agree. I have a routine that without I would be lost. 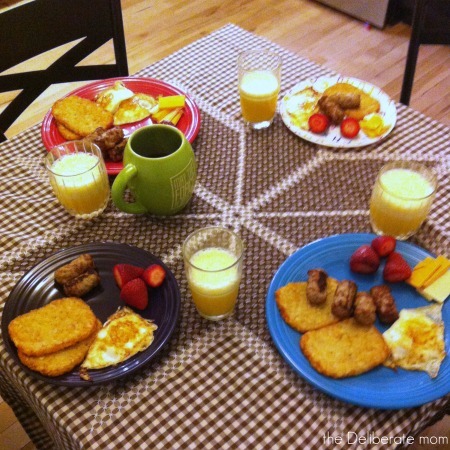 That’s it…as soon as you said, “Breakfast for Dinner,” I knew you were the super “cool” mom. Nothing like a good breakfast…whenever you’re hungry. Breakfast for dinner is my husband’s favourite. I like to make it for him… plus the kids enjoy it too. Yes, I can’t survive without being organized. I fritter away my time if I don’t stick to my schedule! How long have you been waiting (now you have me curious)… LOL. It took me forever to put this together because up until about a month ago, I was still testing things out but this is working for the time being. I need to be super intentional with my time, otherwise I end up wasting hours on Pinterest and Instagram. I’m glad you also caught onto that flow of structure, yet laid back. I need it that way… and so do my kids. And I thought my day was busy. While I do longer hours you sure do a lot more than I do. I’m thinking of trying to homeschool my toddler when I get out the army and I’m taking tips from you as I go along. Here’s to a great week! I try to break up busyness with “relaxing” productivity. It seems to be working right now. Wishing you a lovely week as well my friend. Your youngest takes a 3 hour nap??? Wow! Sorry, I know this wasn’t the point of your post, but I am just so impressed ;-) I like your structured day, I couldn’t do it! I am curious: how did you end up homeschooling? I guess I should have included that she’s not sleeping the entire time. It’s more like 1 1/2- 2 hours. She spends about an hour chatting to herself before she falls asleep and she does the same thing when she wakes up. She does this at bedtime too. We started homeschooling out of “necessity”. My oldest has life threatening dairy allergies and we did’t feel a large school environment would be safe for her. However, a few years into it and I can’t imagine NOT homeschooling. We love it and she’s thriving. If her allergies disappeared tomorrow, we would continue our homeschooling journey because it’s been so fulfilling for everyone! Hi Jennifer, I suspected that being organized and self discipline was the secret of your success and I was right! Thank you for sharing how you fit so much into your day, I’m going to curl up in the corner and cry!! If I lived on my own without a family, then I think I could be organised, but as things are I find it difficult…I can be disciplined as things like exercise and walking the dogs, go without saying, but my day always seems to have kinks in it. Don’t get me wrong… there’s always a hitch in the schedule but that’s why I have buffers built in (outside time, smoothie/juice break/nap time/independent work time). 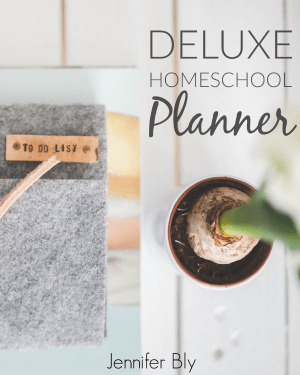 I just love this peak into your world of homeschooling and the day in the life of YOU!!! 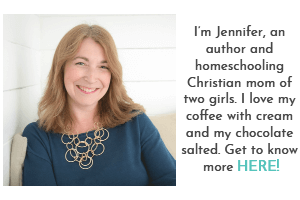 I am amazed at all you keep up with while homeschooling your precious girls, Jennifer!! I think I would probably post your first line. Thanks Chris – I’m glad you enjoyed this. I was seriously worried it would bore people but I had so many blogging friends ask that I thought I better dish the goods! I’m glad you enjoyed this Alexis. It’s not all flowers and chocolate but homeschooling is definitely rewarding. That’s impressive! I love how scheduled you are…a type A mom’s dream! Maybe I could homeschool with a schedule like this…we’ll see. I seriously could not survive without my schedule… it keeps me on task. Oh my! You get up sooooo early! Your homeschool day is lovely. I like the way you break it up too! I do get up early but I’m much “happier” when I have time to myself first thing. So glad you enjoyed this Echo! Isn’t exhausting just writing it all down….whew! Thank you for sharing this! I am so jealous on how organized your day is! This is super helpful… I need to wake up earlier I think! ha! I’m so glad you enjoyed this Lauren. I need to have a structured day otherwise, I fritter away my day on useless things! Thanks for reading (don’t you get up early enough as is)? Jennifer, I am so impressed! You are SO intentional with your time…I wish I could be more like you in that area. I’m not necessarily a time waster, but I could definitely be a little more intentional with it. I loved reading how you spend your day. 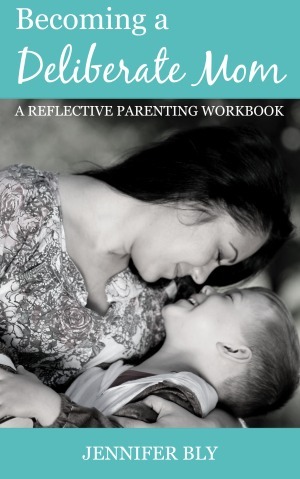 It is so helpful for me to see how others moms manage their time. You’ve inspired me to do a post like this! Your girls are so cute, and they are really lucky to be homeschooled with their mama everyday. They will turn out to be solid, I’m sure of it. I’m so glad you enjoyed this Chelsea. I get distracted very easily, so the schedule is a necessity for me. I love homeschooling my girls… I wish for them to have a passion for lifelong learning. I hope that by homeschooling them, they’ll have that! Meg, I can’t survive without a schedule. I get easily distracted… so having goals and intentions for different parts of the day keeps me focused. Actually, I found it totally interesting! It has such a nice, soothing flow. I love that you get alone time, and that the girls sleep on the later side, and that you all fall into your rhythms together. I love it. I’m not a homeschooling mom and I never will be because I’m not a good teacher and I’d miss photography too much, but I love so many aspects of it. I’m so glad you enjoyed this Tamara. I love the rhythms of our day too… I tried to intentionally pad busy time with down time. Concentrated learning times are wedged between creative and active times. I think it keeps all of us happier and functioning better. Plus this mama needs to take care of herself. I want my children to see the value in taking care of oneself. Some people go their whole lives without leaning the value of self-care. I’m delighted you enjoyed it… I thought people would be bored by my run-of-the-mill routine day. I love coconut oil… it’s the best. Oil-pulling is a fabulous habit to get into (and it gives you SUPER WHITE teeth)! p.s. i finally got coconut oil recently & have been using it in the smoothies i make for my son & i. also, i’ve been using it as a moisturizer on my face. i love it!! i’m going to start oil pulling this week. Hi Jennifer! I think it really helps to be an organizational queen! Your days are just filled with life and love and doing what you really want to dedicate your time to…and that is such a gift. I’m so proud of you! Not many people can say that they are blessed with the time and opportunity to keep up the pace that you do, or have the support of your spouse. I love the rhythm of our days. Last year I was scattered and not as focused. What a difference to be able to nail down a schedule that meets all of our needs. I found this fun to read. I’ve thought about homeschooling but have not begun serious contemplation, although perhaps I should. How young was your first when you started home schooling with her? I’m so glad you enjoyed this! I’m glad it wasn’t a bore (as I kind of feared it would be)! 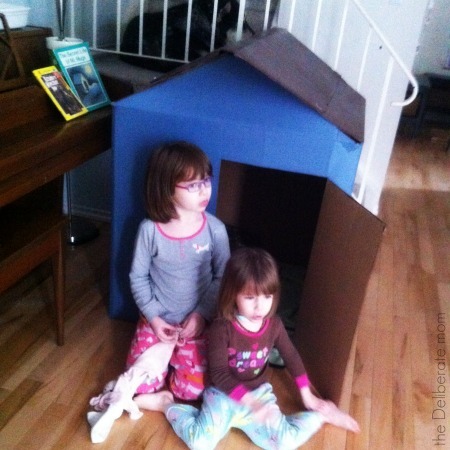 We started homeschooling at kindergarten – before that,we just enjoyed good old fashioned play! How do you get all of your blogging done during the window of time you have? You are amazing!! Ha! Did you notice that I didn’t write about my weekends?! I do some blogging on the weekends too. Eventually when NaNoWriMo’s out of the way and I’m all caught up with commenting, etc. I’ll go back to having weekends off. One thing I learned (while on a blog staycation) was to stay focused, have goals, and limit distractions. So I can actually get a lot of blogging done during those windows of time during the week. Thanks Britni! Blogging and homeschooling are DEFINITELY time consuming but I love both activities so much! Thanks for the encouraging and thoughtful words. I loved reading this and getting a peak into your schedule. I shared mine a while ago, although I don’t think I was that detailed with my times. I’ve had requests to post how I schedule my blogging/commenting time so I might do a follow up with that! I had fun writing this but was a little overwhelmed when I saw everything laid out in this way. I would love to hear about your blogging and commenting schedule! I think you just saved my life with breakfast for dinner. My Husband is the usual cook around the house, but with him working later making dinner is falling to me…and I’m terrible at it. But breakfast foods is something I know how to do! I think all Mom-cooking nights are going to be breakfast nights from here on out until I can learn some new skills. Also, less sleep – more coffee. Right on. Breakfast for dinner = THE best thing ever. MY kids and hubby love it – and it’s so easy to do! I’m delighted you enjoyed this April! Yes, this schedule definitely does not have a waking baby in it… whew, I don’t miss THAT stage of parenting. Absolutely love this post Jennifer! I’m always impressed by how much you can accomplish in a day and big kuddos for getting up before the sun! I get up early on the days I work but struggle on my days off. I really like the variety you have in your day with your girls, and all the activities you incorporate. I’m glad you enjoyed this Tiffany! Yes, I’m up waaaaaaay before the sun. I treasure my alone time too much to get up any later than I do. Yay for the exercise bike! It’s the best $20 I ever spent! What a sweet and productive day. Definitely not boring! As someone who’s never experienced homeschool, it’s very interesting to learn about at a typical day. Thank you for sharing! Oh, I’m soooo glad you didn’t find this boring Farrah. I’m so used to my schedule… maybe that’s why I expect others to think of it as anything but monotonous! Thanks, as usual, your your lovely words. I just learned something new about oil-pulling. I’m going to give that a try with coconut oil. Thank you for this post!!! 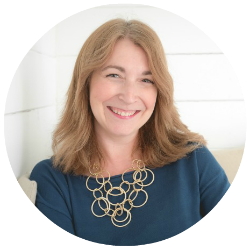 I’ve been wondering myself, how do homeschool blogging mamas do it all… and this– thanks! I started homeschooling this week, so I appreciate this post immensely! Wow, you are a busy lady! My bestie just made the decision that next school year she is going to give homeschooling a try, she’s so excited! I wish I could be as structured as you are, I could probably cut down on a lot of the chaos in my household lol. I love your independent work time after your day! That’s what I need. I need some sort of structured schedule because between work, Dylan, dinner and chores, I’m not getting anything done. My bloglovin’ feed has over 200 unread posts and I haven’t commented back in my posts for way too long. Playing catchup is a serious business. I’m hoping with the US Thanksgiving holiday this week I’ll be able to catch up completely and devise a better system. You have it down! I feel like I’m drowning. My husband and I have so many creative projects on the go that we NEED that independent work time. Although I owe him a month full of weekends after NaNoWriMo… poor guy.